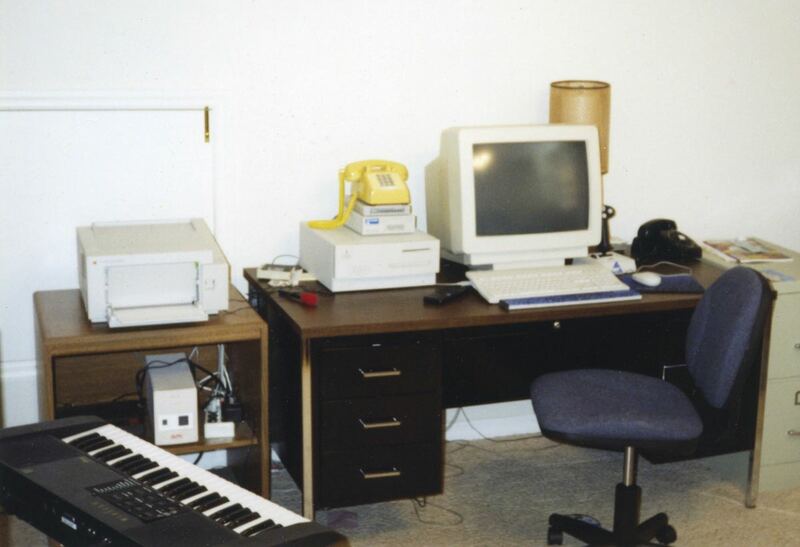 I just found this photo of my computer desk from 1996. Laserwriter, Power Mac 7200, Modem, Optical Drive & Heavy CRT. Apple LaserWriter NT printer. Apple’s last LaserWriter came out in 1996. My new printer is about the same size and speed. It’s� cheaper, more reliable, and has WiFi, though. A microphone. That was a rarely used accessory. Who knows what was going on that day. Another telephone, Model 500 black dial phone. This phone stayed in use longer than the yellow one. It was still working when my landline was disconnected entirely about 2015.